Which Instagram marketing efforts in 2017 actually improved your engagement and conversions? Here’s how to find out. You’ve been working hard on your Instagram game, but all of this competition means your Instagram marketing efforts for the holiday season need to be on point — you need to create the most alluring posts, use attention-grabbing hashtags and hold captivating Instagram contests. But how do you know what will work for your audience? Now is the perfect time to reflect on your Instagram marketing performance, based on campaigns from the past year and during the holiday season. Which of your Instagram activities has brought you the most return on investment (ROI) so far? Have your Instagram marketing efforts increased customer engagement and/or sales? For the purposes of holiday Instagram marketing, let’s focus on engagement and sales. Part of this evaluation is figuring out what your promotions and campaigns have accomplished for your brand. Many marketers give up on social media marketing and running online promotions because they don’t see a direct link between promotions, engagement and revenue. One reason marketers don’t always see the link is because they’re not conducting proper analysis. 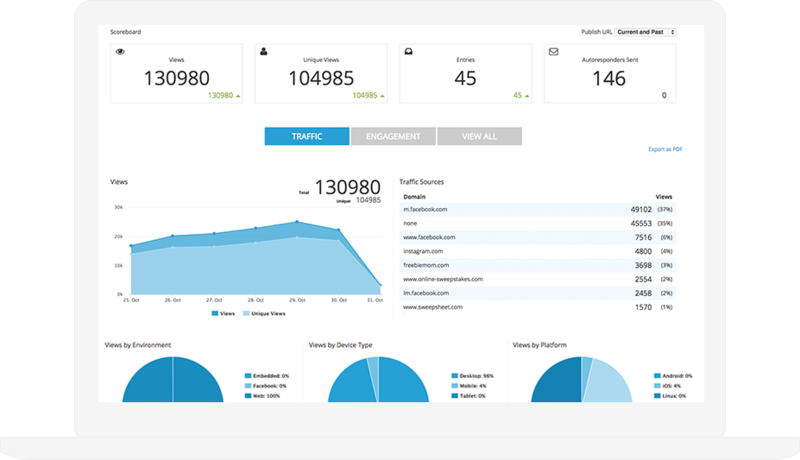 The following is a step-by-step look at the process we use here at ShortStack to measure all of our marketing efforts, and it will help you, too. Before you can begin to determine which of your Instagram marketing efforts was most successful, you need to gather the necessary data. Information like Instagram follower count, the number of comments on a post, hashtags used in posts, clicks on URLs you’ve posted to your Instagram profile, will come in handy. If you haven’t been tracking your Instagram data throughout the year, don’t panic! 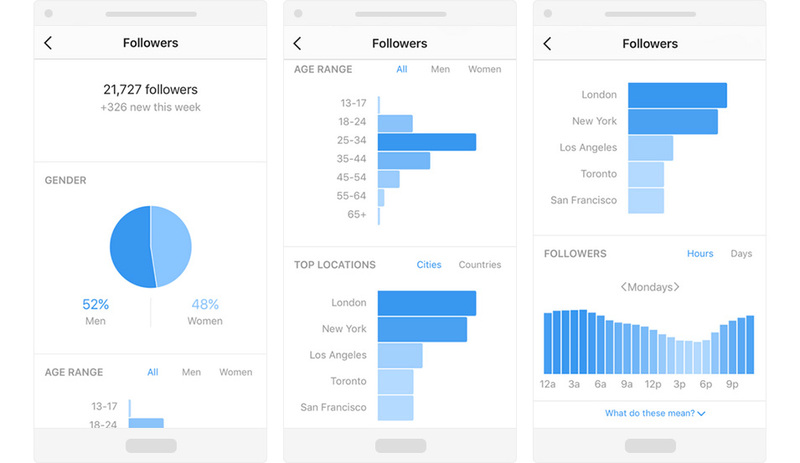 You can grab some of this information right from Instagram’s Business Insights and your Instagram posts. If you have been tracking your data, we suggest using the last 12 months of data for your analysis. Why? It’s simple. If you consider only one month of data, it’s possible that something exceptional occurred during that month (e.g., more sales than other months, less engagement than previous months, a change in marketing strategy). You wouldn’t have a way of knowing if your results for that month were good, bad or average. Furthermore, using a 12-month (or longer) time-period can help account for seasonality, something as marketers and retailers we most certainly see during the holiday season. Below you’ll find some suggestions about the types of data to use, and how to collect the data if you don’t already have it all in one place. TIP: If you are posting the same URLs across multiple sites, use a URL with a UTM string added to the end to track which users are coming from which sources. If you haven’t been tracking data, then now is the time to start. Comb your Instagram posts and make a spreadsheet to include the date the post was made, the content of the post (a description of the image and text), number of likes the post received, number of comments associated with the post, and the hashtags you used for the post. If you have an Instagram Business profile, you can use Instagram Insights see information such as profile/post reach, profile/post impressions, profile visits, website clicks and engagements. (If you haven’t set up an Instagram Business profile, check out our blog post to learn how easy it is.) However, most of the information available through Instagram Insights only includes data from the last seven days. The first time you tackle data collection, it might take a bit of time to collect everything in one place. After your initial effort to combine your data, try updating the data weekly to make future analysis easier. After you collect your data and create monthly data points for your analysis, you should identify a few numbers to serve as your benchmarks. A benchmark is a number you compare your performance to over time. These are all numbers directly linked to your engagement and sales, but each one is more specific than just looking at follower growth or revenue. Using numbers or ideas that are too broad is often where marketers get frustrated with analysis, so it helps to start off with fairly specific metrics. Does the number represent success, or was it disappointing? How does this number measure against past goals you may have set? Now that you have your benchmark, you can use this number to establish your goals. These might be referred to as your “grail numbers” (as in, the holy grail, or the ultimate aspirational numbers). It may seem strange to set goals while you’re doing your analysis, but your goals essentially serve as additional benchmarks that you can use to measure how far your marketing efforts were from the goals. For example, say your average follower increase per month — your follower benchmark — was 100 new followers. You can set a goal of 150 new followers per month. Then, when you analyze the data, you’ll look at the change in your follower count from month to month and see how far you were (higher or lower) from your goal of 150 new followers monthly. The purpose of having goal numbers is to see how close your marketing efforts get you to those numbers. If they’re set too high, you probably won’t see as much of a payoff. Here’s an example of why realistic goals are important: Let’s say you have 100 new followers on average per month and you set a goal of gaining 400 new followers per month. Then, you ran a July promotion that gained you 200 new followers. This is a pretty big spike compared to your average monthly change in followers. However, it doesn’t look very impressive in the context of your goal number, only having reached 50 percent of the goal. As such, you may assume your promotion wasn’t very effective, when in reality the increase was substantial–an increase of 100 percent over your average monthly growth. Setting goals is one of the challenges marketers run into when analyzing their Instagram marketing performance. Your numbers have to be relative to you and your brand, so you don’t need to worry about setting unattainable goals that are only pulled from industry data. You may know the phrase, “correlation is not causation.” And this is true: Just because two points are related doesn’t mean one caused the other. However, looking for correlations — for instance, when you launched a promotion and when you noticed a spike in followers, engagement, visits or sales — can at least give you a starting point for how your marketing efforts may have synced with notable progress toward your goals. Once you’ve set your benchmark and your goal numbers, you can drill down further and look at the additional data you’ve collected over the last 12 months. Again, keep your analysis simple by looking at each month individually. You’ll want to look specifically at the number that corresponds with your benchmark. Meaning, if you used your average number of engagements per post (total number of post engagements divided by the total number of posts) as your benchmark, you’ll want to look at the number of engagements per post for each month. Measuring consistent metrics gives you more accurate results. Keep in mind that you can repeat this process with multiple benchmarks. Compare the monthly number to both your benchmark and your goal number. Then, compare this information to your marketing schedule. Did you notice if any growth or decline occurred around the same time you ran a promotion? You’ll want to look at the goal of your promotion, and how that contributed to your goal number for each measure. Step 5: Apply your analysis to your Instagram marketing! Great! You’ve found some correlations between your Instagram marketing efforts and your progress toward the goals you set. Well, what exactly do you do with this information? You use this data to support your future Instagram marketing decisions. These decisions include the types of promotions you run, the content of your posts, the hashtags you feature in your posts, and so on. However, your April contest grew your email marketing list by 5x more than the July contest. This is when you can look at your individual posts to compare the content you posted, the hashtags you used, and the engagement you received. Were the posts with more engagement made on days where you received more contest entries and email marketing subscribers? If so, try using similar content and hashtags in future Instagram posts. After you decide on a strategy and begin implementing it for the holidays, be sure to track your Instagram marketing performance. If something isn’t working, consult your analysis to see if you could implement another technique that was successful in previous months. 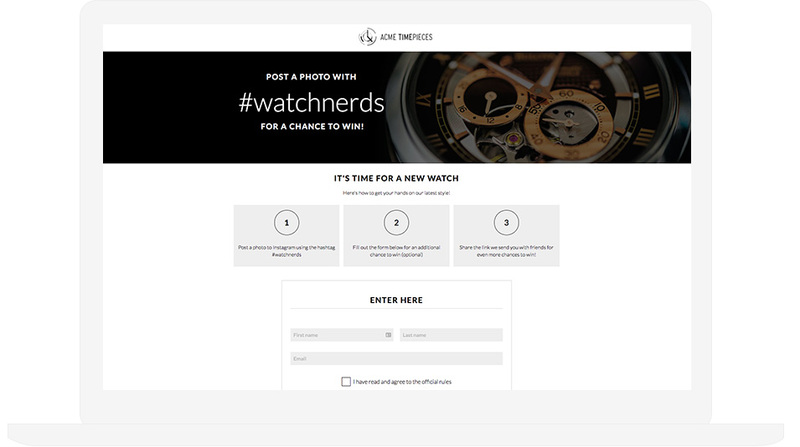 You this information to inform your decisions about what to post on Instagram and to learn what types of contests and promotions appear to be working for your business.